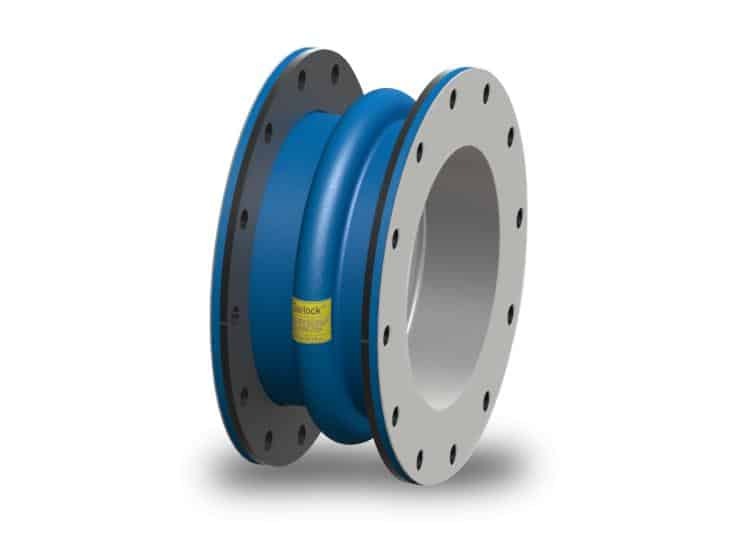 Garlock® GUARDIAN® 200 expansion joints consist of a chemically-resistant Fluorinated Ethylene Propylene (FEP) liner mechanically bonded to an abrupt arch. A chlorobutyl cover and blue protectant coating add resistance to environmental effects. Alternate cover materials are available. Max temperature rating is based on body and cover materials. Tube – Seamless FEP lining extends to the outer edge of the flange; completely fused to the joint body. Abrupt arch design used for maximum movement capabilities. A gasket is not required on full face flange. FEP is compressible to achieve seal.